A couple of kindred spirits sharing a sun kissed part of the deck on a cold morning. 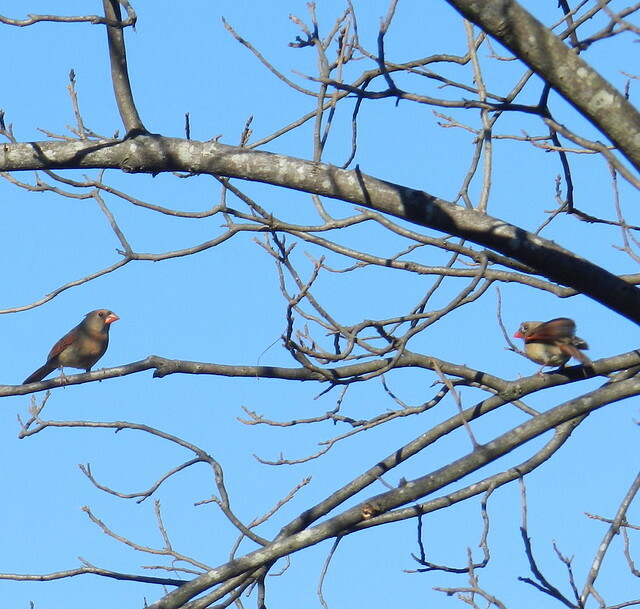 It must be kismet that put the mourning doves in view of my camera when I was wondering what to do for K week. Be they kith or kin the pair of cardinal girls look kind of cute facing each other on a forked branch. 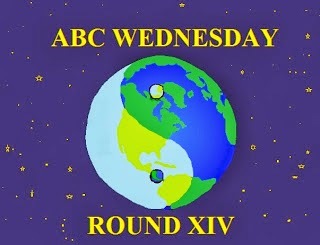 Click for the home of ABC Wednesday. Well done for K week! job well done for K.
kindred spirits, sunkissed deck...what could be more perfect? do they get along with their kin better than humans, I wonder? I do love the Kindred Spirits of Kith and Kin. Nice K post, love the photos. We haven't seen many mourning doves here in Wisconsin. Loved the doves.. Look so peaceful. Nice lighthearted choices for K, - love the kith and kin reference. We are kindred spirits today, I featured kin or kinsmen. Great job with your k's. Excellent adaptation of K week! Love the bird shots. Very nice birds and lovely pictures. Kool pics of lovely birds! I love the Doves on your decking, beautiful pictures too. Also, I love your play on words for Kith and Kin. 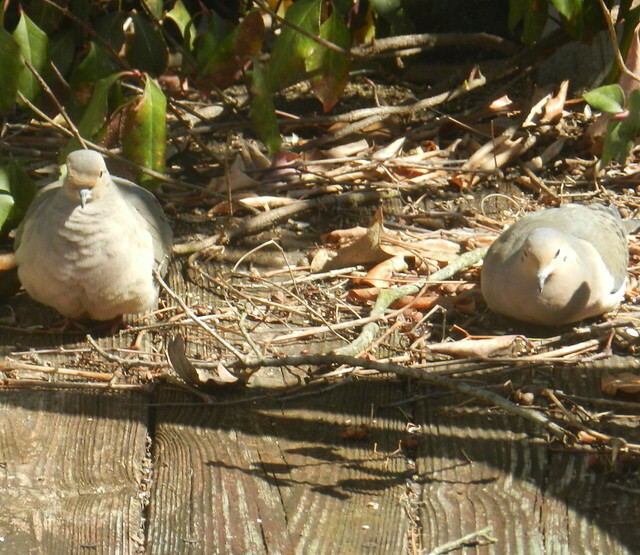 We have Ring Necked Doves that visit us...They tease our 'Kat' by sitting on the patio, cooing and pecking around for bits. Of course they're smart enough to 'keep' away when the doors are open and the 'Kat' is about.